M1 copper. Quality and a type of delivery of an alloy of M1 corresponds: Non-ferrous metals, including rare, and their alloys of B51 of GOST 193-79 (ISO 431-81), GOST 859-2001, OST 4.021.009-92 Sheets and strips of B53 of GOST 495-92, GOST 767-91, GOST 5638-75, OST 4.021.049-92, OST 4.021.094-92, TU 1844-046-00219454-2000, TU 48-0810-208-93, TU 48-0810-103-82, STP M207-78 Tapes B54 state standard specifications 16358-79, GOST 20707-80, GOST 1173-2006, GOST P 50248-92, OST 4.021.077-92, TU 48-21-349-91, TU 48-21-854-88, STP M137-80 GOST 1535-2006 B55 Bars, OST 4.021.019-92, OST 4.021.040-92 Pipes from non-ferrous metals and alloys of B64 of GOST 11383-75, GOST 16774-78, GOST 617-2006, OST 4.021.122-92, TU 48-0810-107-86 Hard alloys, ceramic-metal products and metal powders of B56 TU 14-22-67-94 Wire from non-ferrous metals and their alloys B74 TU 48-21-858-88, TU 48-0809-62-93 Other wire products B78 TU of 4833-002-08558606-95 V the chemical composition an alloy of M1 contain chemical elements in %: Fe to 0,005 Ni to 0,002 S to 0,004 Cu 99,9 As to 0,002 Pb to 0,005 Zn to 0,004 Ag to 0,003 O to 0,05 Sb to 0,002 Bi to 0,001 Sn to 0,002 Copper differs in high heat conductivity, conductivity, corrosion resistance, low melting temperature, is well processed by pressure, is satisfactory cutting. Physical, technology and mechanical properties of an alloy M1: Hardness of material: HB 10-1 = 45 MPas Linear shrinkage, %: 2.1 Casting temperature, °C: 1150 - 1250 Melting temperature, °C: 1083 Friction coefficient with lubricant: 0.011 Friction coefficient without lubricant: 0.43 Will widely be applied in electrical equipment, machine and instrument making. Copper in accordance with GOST 859-78 is issued in the form of cathodes, ingots, strips, tapes, pipes, a wire, forgings, sheets. Application of an alloy of M1 in the industry: for production of conductors of current; rolling; high-quality bronz, not containing tin; products of cryogenic engineering; round drawn thin-walled pipes; cold-rolled foil and tape, cold-rolled and hot-rolled sheets and plates of general purpose; a wire for production a pletenok of the metal wires and cables shielding the PML type, intended for shielding; the hot-rolled and cold-rolled anodes used to electroplated coatings of products; a holodnodeformirovanny tape of rectangular section with thickness of 0,16-0,30 mm intended for coaxial main cables; the radiator tapes intended for production of the cooling tubes and plates of radiators; the drawn pipes of rectangular and square section intended for production of conductors of windings of stators of electrical machines with liquid cooling; profiles for production of rotors of submersible motors. Note: M1 copper is received melting of cathodes. M1 brand copper on chemical composition corresponds to Cu-ETP brand copper according to Evronorma EN 1652:1998. Buy the Circle copper M1 legko:1. You send zayavku2. We expose to you schet3. You pay convenient for you sposobom4. 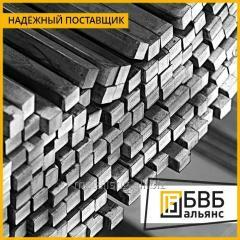 You receive the goods the Most important that you need to know about the BVB-alliance company. • Deliverable metal rolling constantly is available, and is stored "about 2000 tons" in a warehouse. • Own production of a professional flooring. • We offer a payment delay "about one month". • We do everything possible for minimization of terms of processing and delivery. • We carry out metal cutting in the size and according to your drawings. • We provide service of safe custody in the covered warehouse. • We offer the loyalty program allowing to receive discounts for purchase, processing or delivery of metal rolling. Advantages of work with nami:1. Goods available on sklade2. Official garantiya3. High quality tovarov4. Operational dostavka5. The program copper M1 you can specify the loyalnostiaktualny price of the Circle at our manager. The final price of products forms, proceeding from terms of delivery: quantity, terms of payment and place of shipment. Ask the manager. This price list has exclusively information character and under no circumstances is not the public offer determined by provisions of the p. 2 of Art. 437 of the Civil code of the Russian Federation. 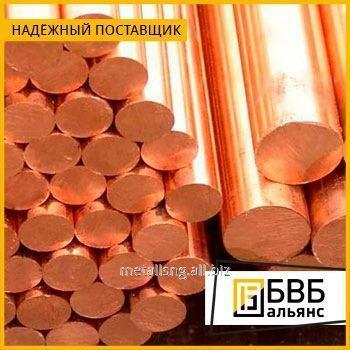 Unbelievable price on Circle copper M1 in Nur-Sultan (Kazakhstan) company BVB Alyans, TOO.